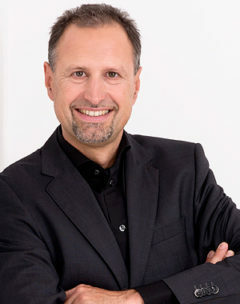 Marc Losch took over the management of Losch Airport Service GmbH in 1994, after the company had been founded by his father Werner Losch in 1990. The business economist developed the company into a renowned specialist for ground handling services and handling coordination, as well as into a solid service partner at numerous airports in Germany. Losch Airport Service is a company with solidity regarding any aspect. That's important for me. But it is also important that we always think competitively and remain flexible for our customers. And that's what we've been doing for over 25 years. Right from the start we emphasise the power of innovation, know how and team spirit. 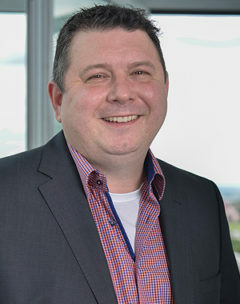 Stefan Ruck has been responsible for sales and project development since 2006. He is appreciated as a negotiation partner by airlines and airport operators likewise. We think one step ahead, every day. We design a solid foundation with innovative ideas. We develop knowledge and put it into practice. We are ambitious. I believe that this combination makes up the success of Losch Airport Service.